Crisis Chronicles Press is very happy to announce the publication of Body Voices by Scottish poet Kevin Reid. Released 9 February 2013, Body Voices was shortlisted by the Saboteur Awards for best poetry pamphlet. "In his collection, Body Voices, Kevin Reid dissects the body using a variety of voices to expose and explore how it is at once connected to its own past and to the external world, how each separate voice depicts both functionality and experience. Reid’s poems appear personal yet each body part has its own distinctive story ranging from childhood memories to social commentary, from the organic to the cerebral. They are full of thoughtfulness, presence and wit. They are full of the senses, the transitions our bodies and lives experience, our ever dissolving yet expanding path from birth to death. They are brave and clever and they will prompt you to re-examine your own relationship with your body, your past and your place in the world. This is a living collection of poetry and I recommend you read it." "Kevin Reid’s Body Voices is an inventive, whimsical look at the body poetic. This series of candid and wry reflections offers a delightfully fresh perspective on learning to feel comfortable in the skin we are in. These pages reveal a weary, scarred, weathered and absolutely real body examined part by part and systematically stripped of any artifice or pretense: the poet stands before us naked and unashamed, imparting courage and wisdom in the process. Body Voices is unflinching, artful, guileless, and eminently worth reading." Body Voices is 34 pages, 8.5 x 5.5", hand assembled and saddle staple bound, with a white and textured navy card stock cover and available for $7 (plus $2 for postage) from Crisis Chronicles Press, 3431 George Avenue, Parma, Ohio 44134 USA. If you're ordering from an address outside the USA, please add $3 to cover additional postage. Click here to read David McLean's review of Body Voices at Clockwise Cat. Click here to read Aads de Gids' review of Body Voices at Crow Reviews. Click here to read John Field's review of Body Voices at poor rude lines. Click here to read Christine Murray's review of Body Voices. 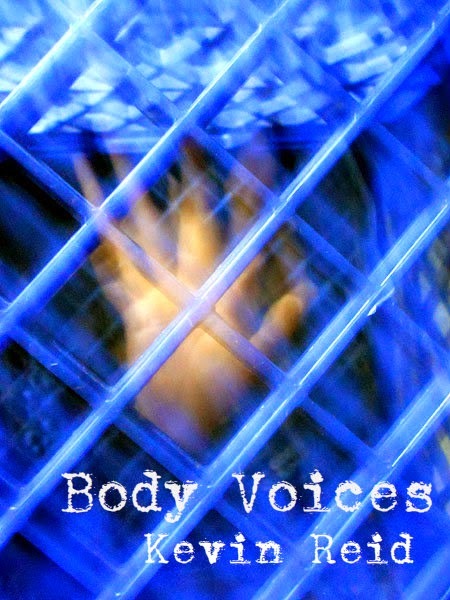 Click here to read Dianne Borsenik's review of Body Voices. Click here to see ratings of Body Voices at Goodreads. 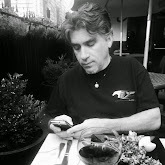 Click here to hear Kevin Reid read "Mouth" from Body Voices. Click here to read "Ears" from Body Voices in the Crisis Chronicles cyber litmag. Crisis Chronicles Press is honored to publish Mary O'Malley's striking chapbook-length poem Howl for My Family in April on 2 February 2013. Howl is handmade with care and saddle stitch bound. It bleeds. It cries. It pulls buried truth into the light. You won't walk away from it unaffected. The first edition (c.100 copies) of Howl for My Family in April was inkjet printed, 8.5 x 5.5", bound with plain white cover stock and beach card stock. It is out of print. The second edition - revised, expanded and printed in April 2014 - is printed on lemon paper and bound using textured white and black card stock. 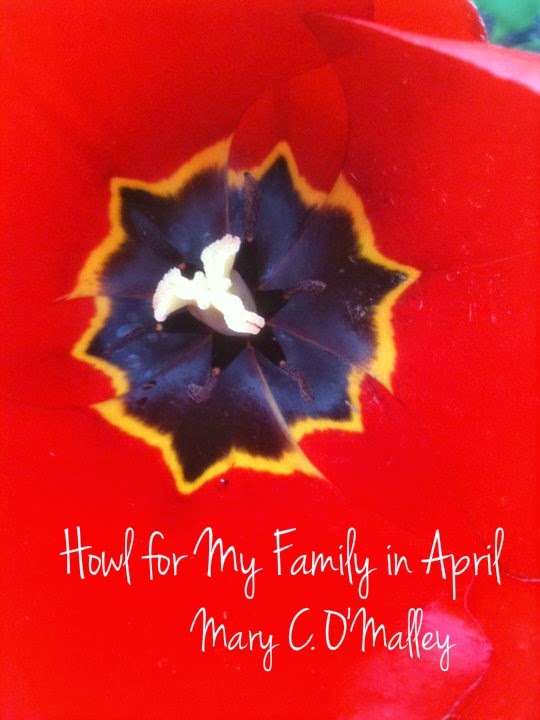 Click here to see ratings of Howl for My Family in April at Goodreads. Mary C. O’Malley has worked as a post graduate degreed social worker and as a writer since 2002. Her work has been selected for local, state, national, and international readings. Publications that have published Mary’s work include Heartlands, Whiskey Island, Box Car Review, Tipton Poetry Journal, Cleveland in Prose and Poetry, Midwest Poetry Review, Mary, and many other literary zines and anthologies both online and in print. She is the mother of two sets of twins and tries to garden in her spare time. In 2009, Tipton Poetry Journal nominated her for a Pushcart Prize.